The car has a changed appearance, an expanded list of standard options and multimedia Display Audio, which has improved graphics and a physical volume knob. The novelty exterior can be distinguished from the previous version by other bumpers, darkened head optics, black branded "wing" placed on the radiator, other LED headlamps, decorative chrome elements and new variations in the body color (white Platinum White Pearl, red Molten Lava Pearl, yellow Tonic Yellow Pearl). Sedan and coupe salons are replenished with multimedia Display Audio, other buttons on the steering wheel and cup holder on the center console. Improved and at the same time noise insulation wheel arches, floor and trunk. 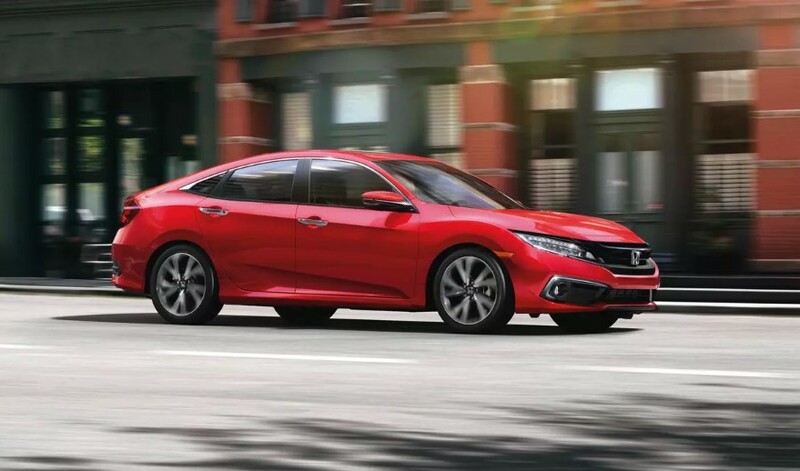 The standardly updated Civic has a set of safety systems Honda Sensing, an automatic main-beam control system, and a 7.0-inch digital device. Among the engines, there is an "atmospheric" V4 2.0 liters per 160 hp, working with an MCP or a variator, or a turbocharged 1.5 l engine with a 176 hp and variator.